Posted on: September 8, 2017 By: Christopher Brown, Esq. The Americans with Disabilities Act (ADA) is a federal law that prohibits discrimination in employment on the basis of disability. Before the enactment of the ADA, many disabled Americans faced unacceptable attacks of discrimination in the workplace. After the passing of the bill in 1990, disabled Americans were given equal opportunities. The ADA refers to both job applicants and employees and covers discrimination practiced by private employers, employment agencies, state and local governments, labor organizations, and labor-management committees. If you have a disability and are qualified to perform a job, the ADA protects you from discrimination based on your disability. Who’s Protected Under the ADA? Under the Americans with Disabilities Act, an individual with a disability is any person with a mental or physical impairment that significantly limits one or more major life activities. The Act further defines these impairments as any physiological disorder or condition, anatomical loss of one or more body systems, cosmetic disfiguration, or mental or psychological disorder such as mental retardation or specific learning disabilities. An employer can also not discriminate against a job applicant or employee based on a previous disability or history of impairment. An employee is also protected if he or she is wrongly regarded as disabled even if they’re not. 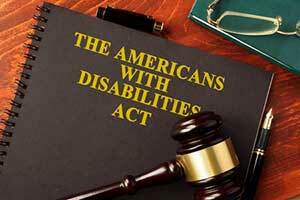 Certain individuals are not covered under the Americans with Disabilities Act. Job applicants and employees who are currently engaging in the use of illegal drugs are not protected by the ADA if an employer chooses to act on the basis of drug use. Testing for illegal drugs is also not subject to the restrictions set by the ADA regarding medical examinations. Employees who use illegal drugs or are considered alcoholics are held to the same performance standards as other employees. While both alcoholism and drug addictions are considered disabilities under the ADA, they are treated differently in some respects than other types of disabilities. What Accommodations Must Be Made? Under the Americans with Disabilities Act, a qualified applicant or employee must be able to perform the essential functions of the job in question with reasonable accommodation. Reasonable accommodation may include making facilities used by employees accessible and usable by disabled individuals, modifying work schedules or restricting jobs to meet the needs of an employee, or modifying or acquiring certain devices, materials, or policies. These accommodations should be made unless it would impose an “undue hardship” on the employer or business. What Is Considered “Undue Hardship”? An employer does not have to provide a disabled applicant or worker with reasonable accommodation if doing so would cause the business undue hardship. In short, an undue hardship consists of any type of hardship that would result in significant difficulty or pose a large expense to the business. Certain factors are used to determine whether or not an accommodation would be considered reasonable, such as the cost and nature of the accommodation, the financial resources of the business, the size and nature of the business, and whether or not accommodation costs have already incurred in the facility. The ADA makes it unlawful to engage in discrimination in all aspects of employment. These practices include, but are not limited to, areas such as recruitment, hiring, firing, job assignments, training, pay, promotions, benefits, leave, and lay off. In addition to covering these specific areas, it is also deemed unlawful for an employer to retaliate against a disabled individual for asserting his or her rights under the Americans with Disabilities Act. If you are a victim of employment discrimination due to your own disability or because of your relationship or association with a disabled person, you are also protected under the ADA. Can an Employer Ask About a Disability? When applying for a job, an employer cannot ask you if you have a disability or the extent of your disability. However, an employer can ask you if you’re able to perform your job duties with or without reasonable accommodations. An employer also has the right to ask you to describe or demonstrate exactly how you will perform your job duties, with or without reasonable accommodations. An employer can also not require you to undergo a medical examination before you are offered a job. What Does ADA Title I Consist Of? The ADA is divided into five titles: Employment (Title I), Public Services (Title II), Public Accommodations (Title III), Telecommunications (Title IV), and Miscellaneous (Title V). Under Title I of the ADA, an employer must have 15 or more employees to provide qualified disabled persons with equal opportunities in employment. 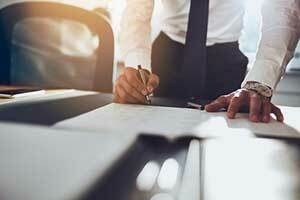 Religious entities with 15 or more employees are also covered under Title I. If you believe that you have been discriminated under Title I of the Americans with Disabilities Act, you may file a complaint with the U.S. Equal Employment Opportunity Commission (EEOC) within a period of 180 days following the discrimination date. 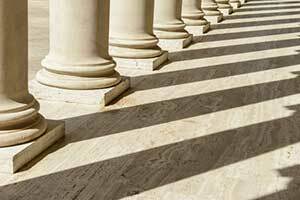 Does the ADA Override Health and Safety Laws? It’s important to remember that the Americans with Disabilities Act does not override state and federal health and safety laws. Employers must first comply with these laws to ensure a safe and healthy workplace for employees. This includes all safety and health requirements set by the U.S. Occupational Safety and Health Administration. An employer also has the right to decide whether there is a reasonable accommodation consistent with federal law standards that may prevent an individual with disabilities from safely performing certain job duties. The average employee faces a variety of challenges on a daily basis. From battling to find a parking space to time constraints while completing work, it can be challenging enough without having to deal with issues like discrimination. To ensure that all workers are treated fairly, the federal government enacted the Americans with Disabilities Act that barred private and public employers from committing acts of discrimination in the workplace. If you are the victim of discrimination due to a disability, you have rights. Contact the experienced employment attorneys at The Brown Firm PLLC for a free consultation today.